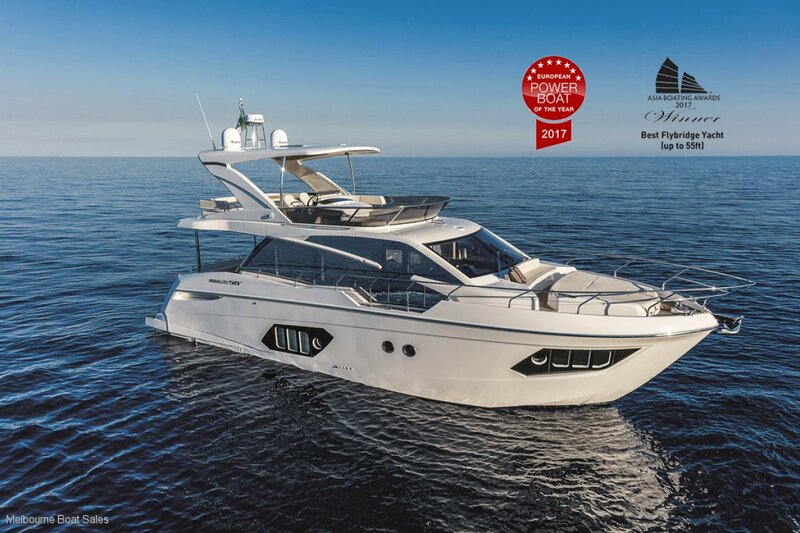 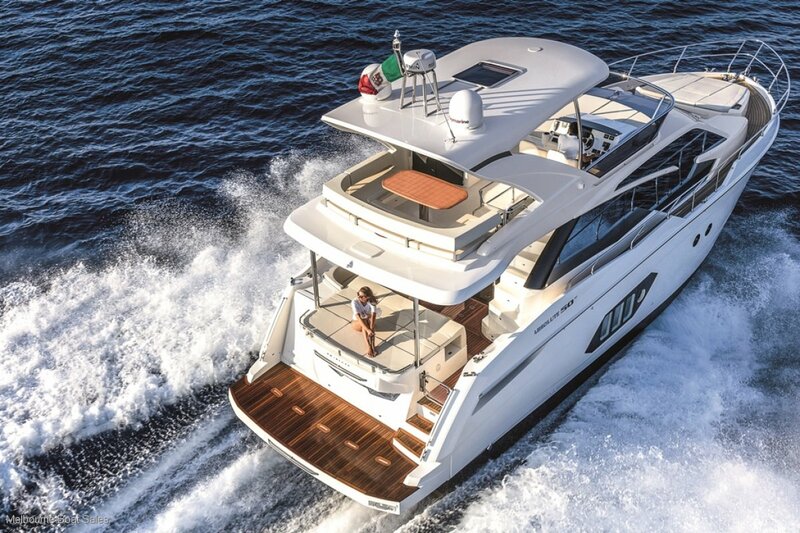 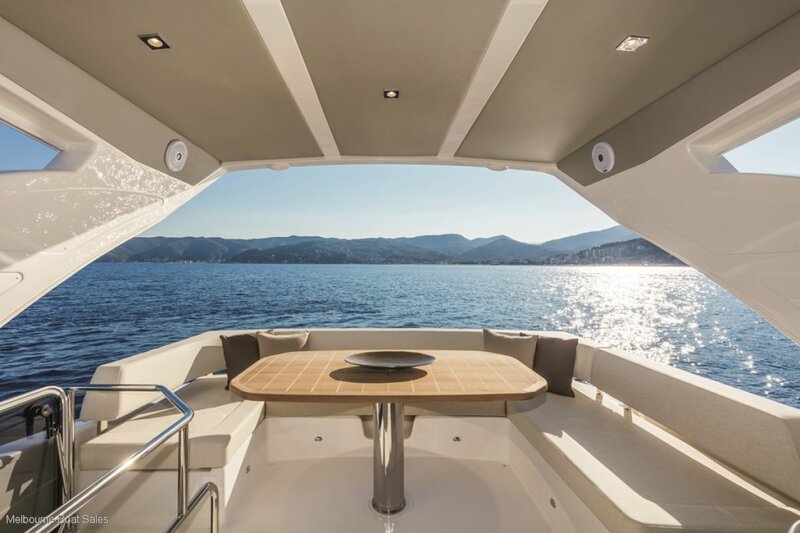 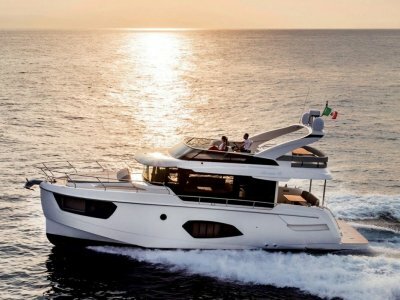 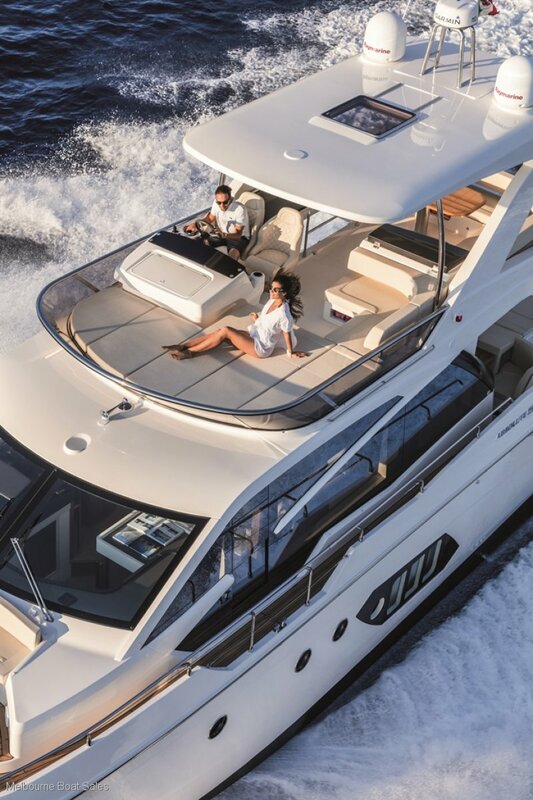 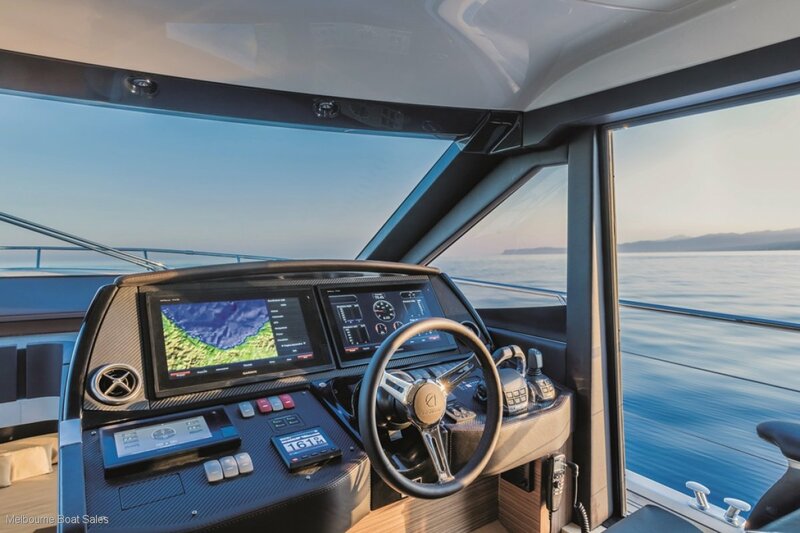 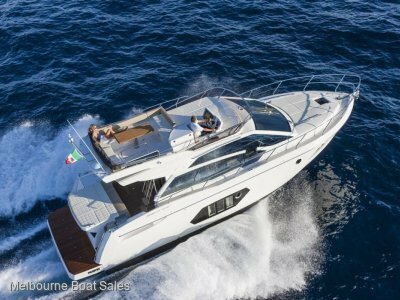 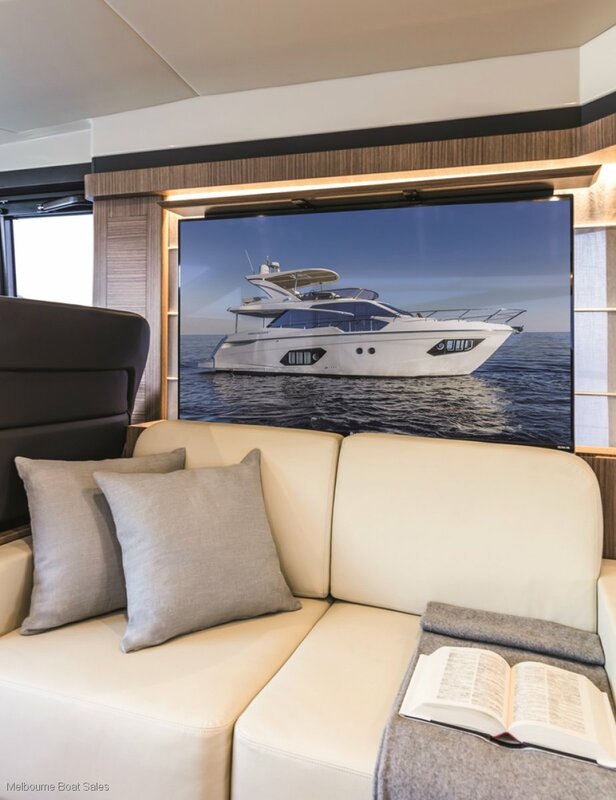 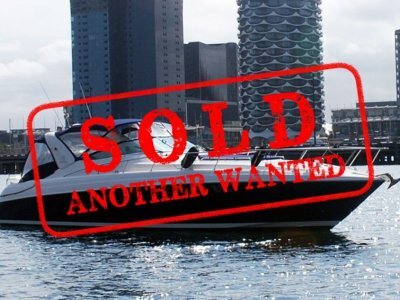 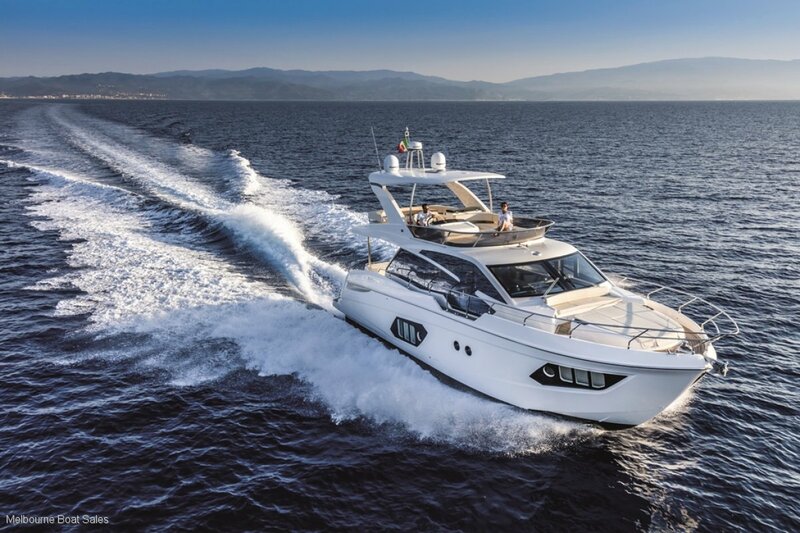 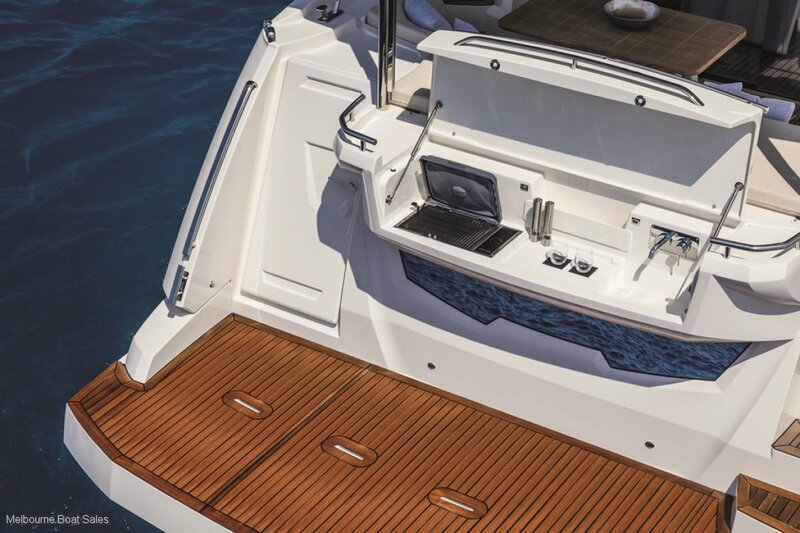 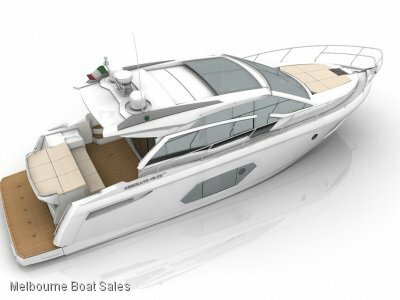 The award winning Absolute 50 Fly is winning accolades worldwide including European Power Boat of the Year 2017 and Asia Boating Awards Best Flybridge Yacht 2017. 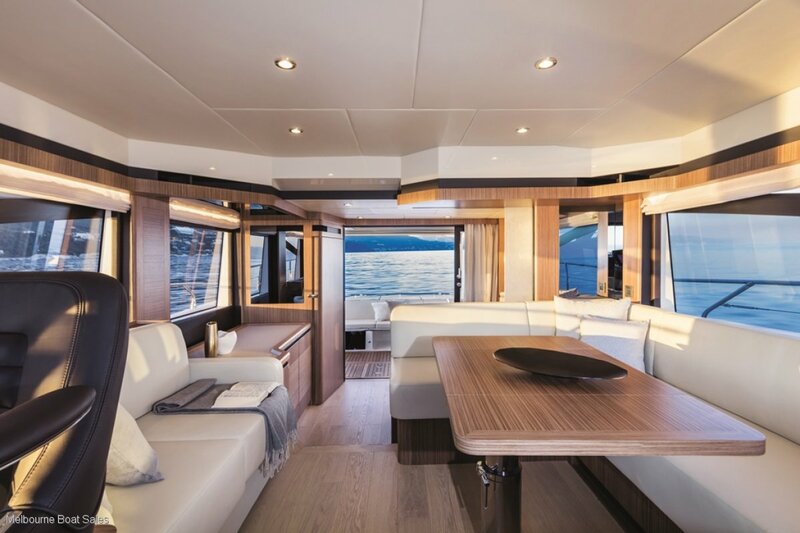 Yesterday, comfort was only a word: today it has found its tangible expression in a space designed for seven guests. 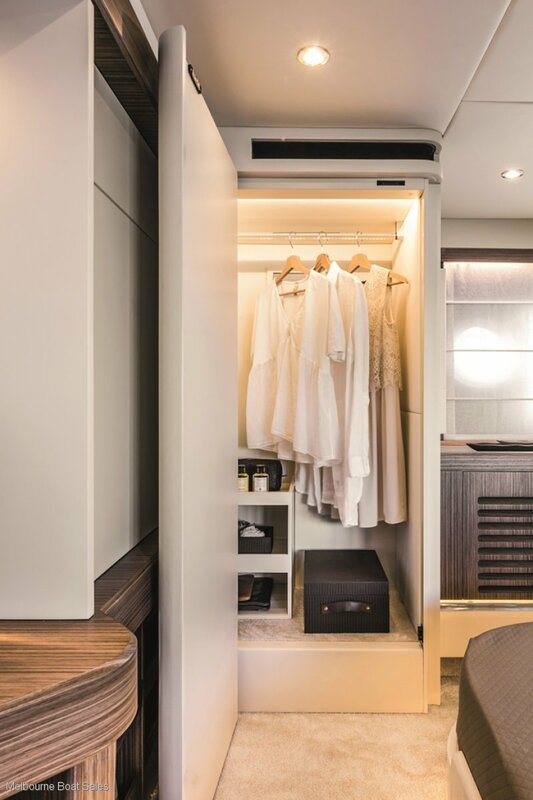 Indoor space's liveability is easier thanks to the sliding doors, the rounded edges of the furniture's finishes, the king sizes of the beds and the ease of the floors, almost without steps and differences in height. 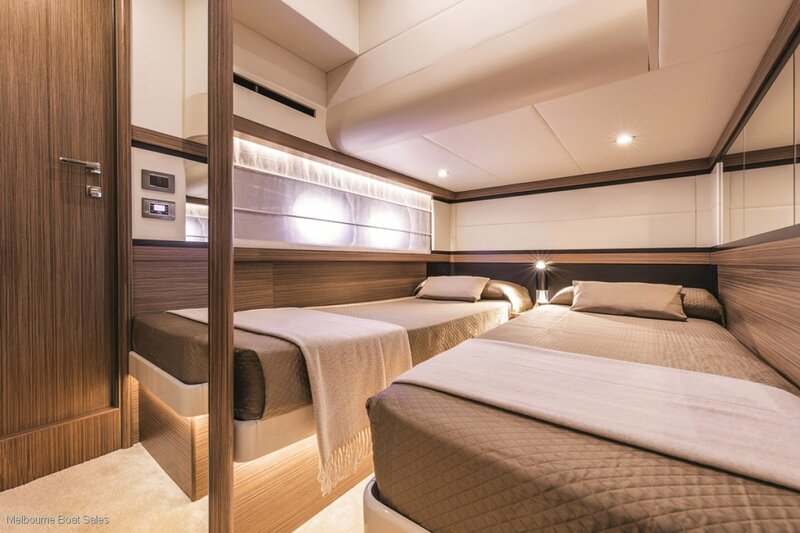 The night area includes three cabins for a total of six guests. 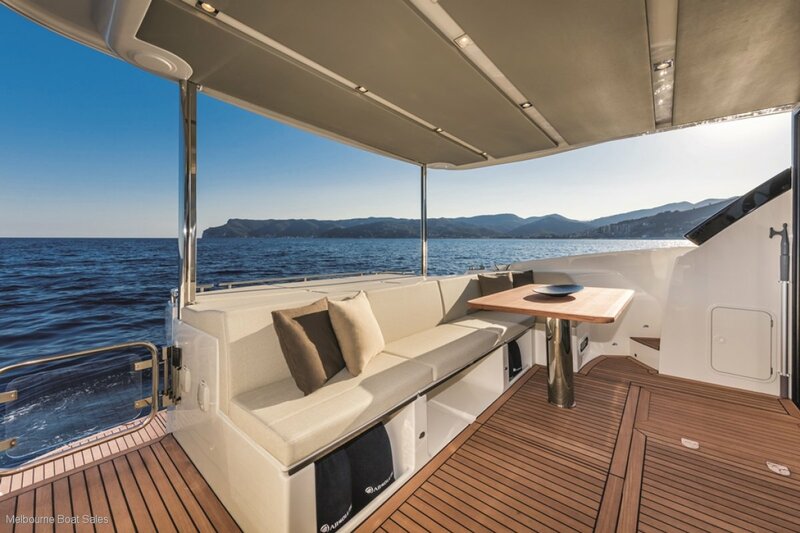 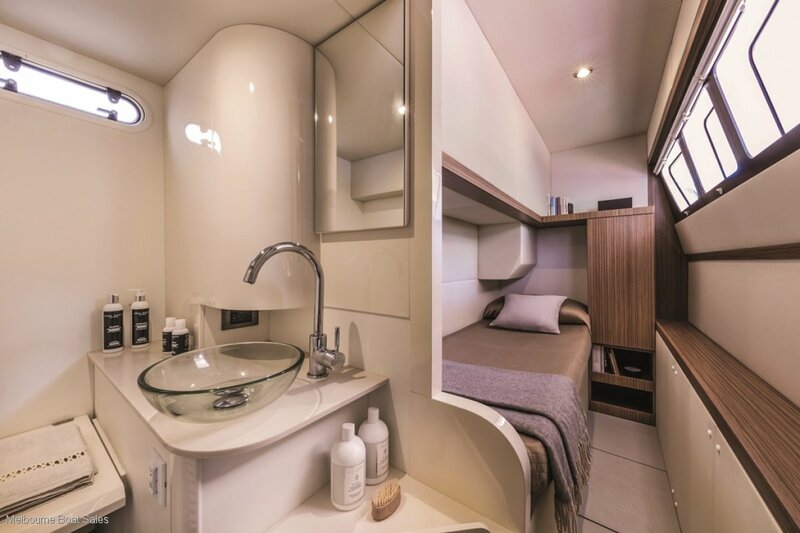 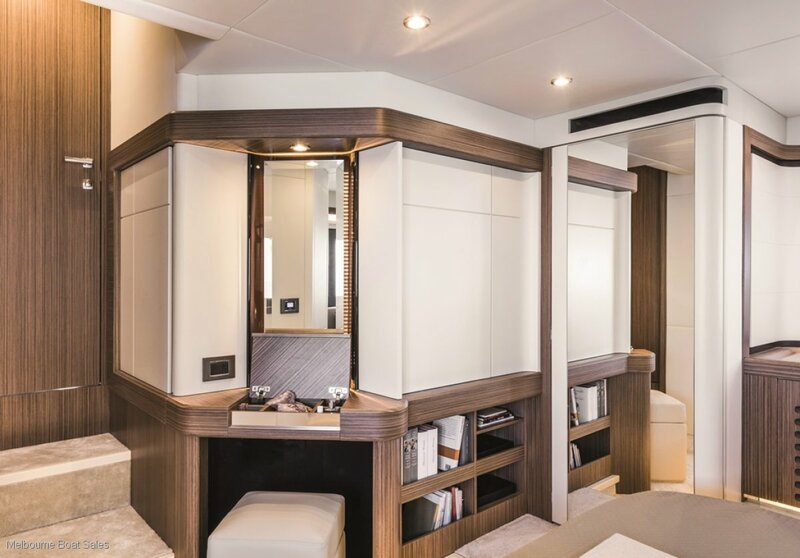 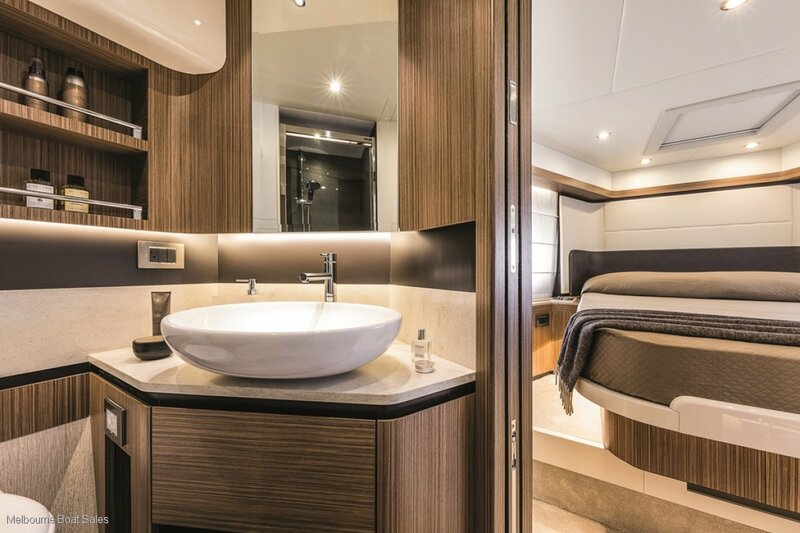 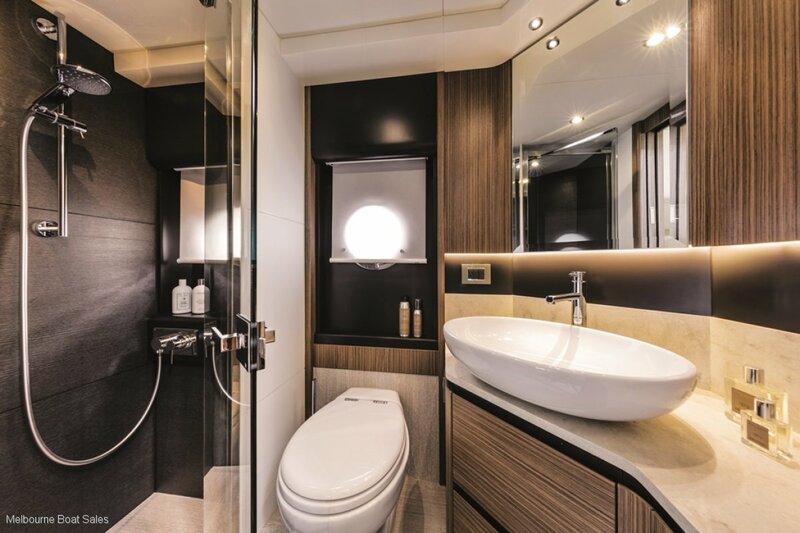 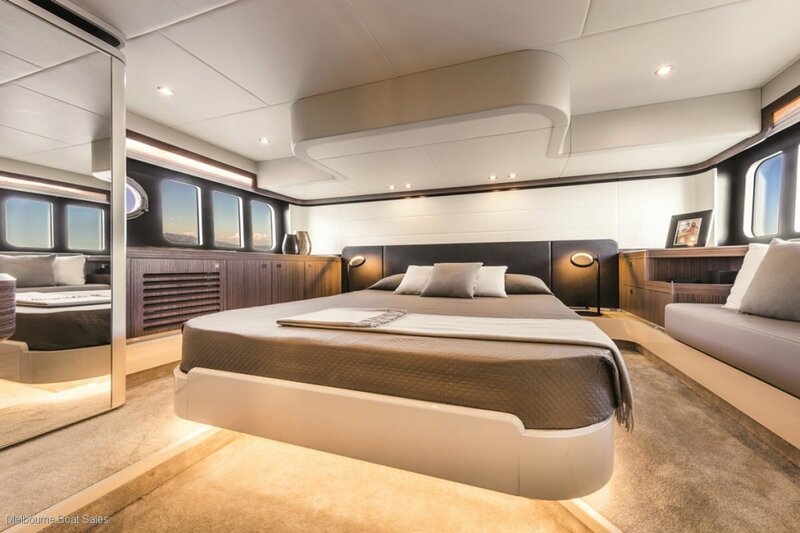 Moreover, the fourth aft cabin can host both an expert sailor and a guest. 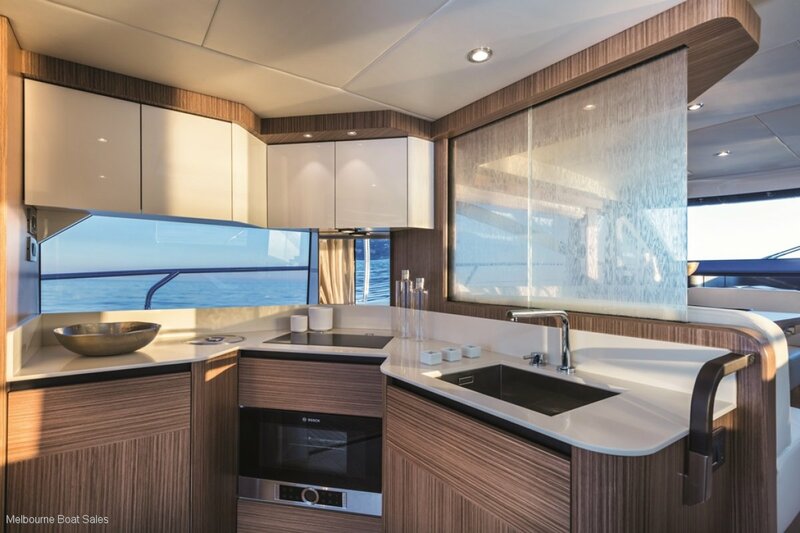 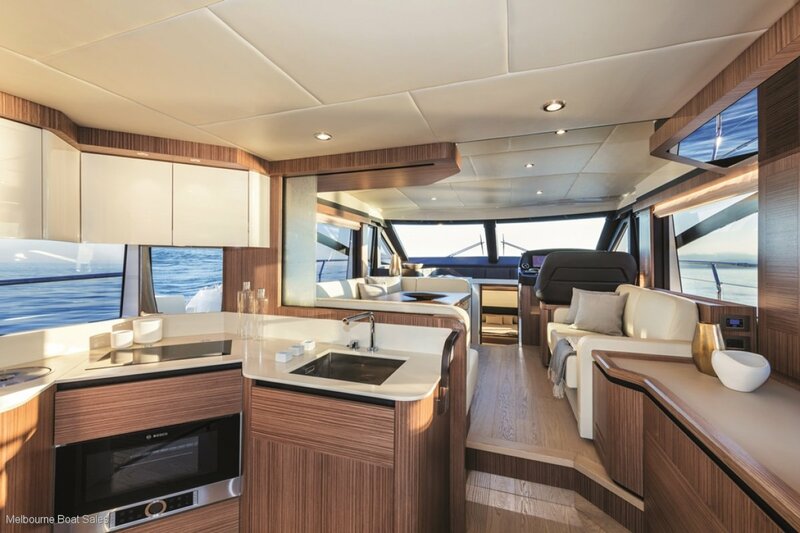 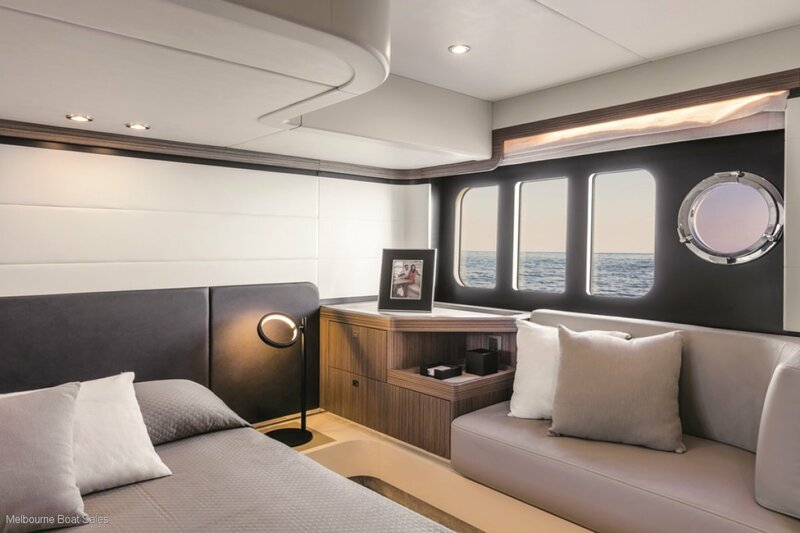 The living area offers a continuous sea landscape view and it is separated from the galley thanks to an electrical sliding glass. 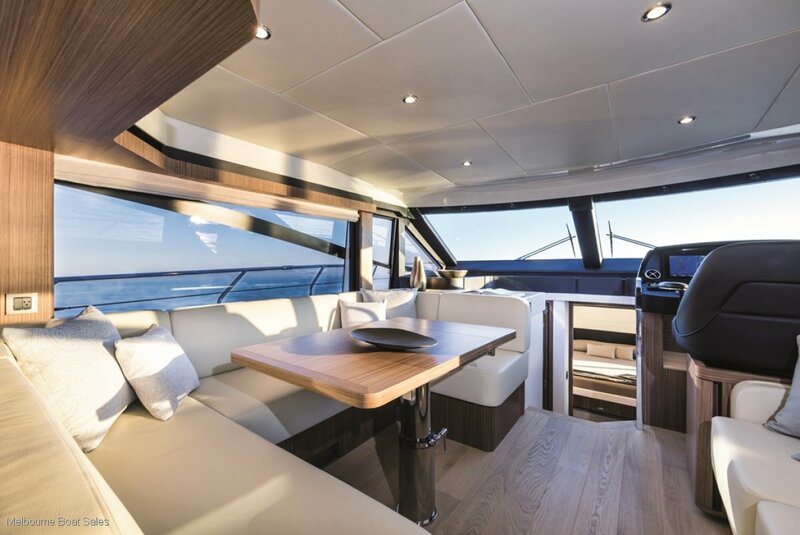 From a structural stairway, you can have access to the fly area that hosts a main sofa with dining room table, a side sofa and a sunbathing with three single reclining backrests. 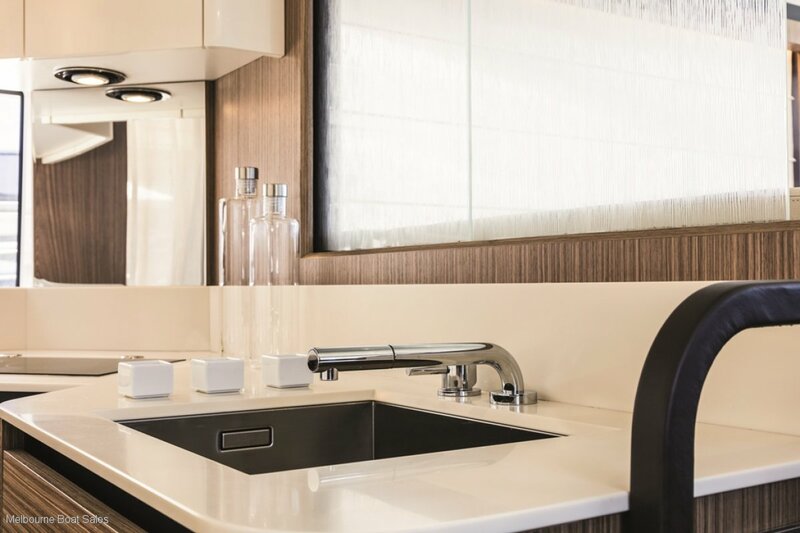 In addition, the wet bar includes sink, BBQ grill, icemaker and fridge.